Synopsis: Not included, kind of spoilery. Click on the Goodreads link above to check it out though! To celebrate the release of The Forever Song, we thought it’d be fun do a little speed dating interview favorite baddie from the trilogy, Jackal. For those of you who haven’t read the books yet, Jackel is Allison’s vampire sibling, they share a maker. He’s not so nice in general, but he has his moments. We hope you enjoy getting to know him a little bit better, and I’m kind of glad this interview wasn’t IRL, I’m not sure I would have survived. Jackal: Red. Like your blood. Spilling over the ground from the stump of your neck after I tear your head off. Blond, Brunette or Red Head? What does it matter? They all taste the same. What would you do if you could go out in the sun for a day? Nothing I can’t do in the middle of the night. Except maybe get sunburn. Sadly, vampires don’t tan. What human food do you miss most? I don’t miss human food. I can barely recall what it tastes like. Though I do remember I could make a wicked meatloaf. Craziest adventure as a vampire? I’d say the one I’m on right now with the old man and my bleeding-heart sister qualifies. Though the time I took on that rival raider gang by myself runs a close second. Lots of blood, guts, flying body parts. Good times. What’s your Apocalyptic tag line? What the hell is an Apocalyptic tag line? Do you want me to rip your head off? Where did you live before you were turned? A pathetic little homestead in the middle of nowhere. Not surprisingly, it was attacked by raiders who killed everyone there but me. And then, this dark stranger showed up and asked me if I wanted to be immortal. Easiest choice I ever made. Favorite place to look for a meal. Lift your head up just a little. Yeah, right there, below your chin. You don’t run into many books where I come from. Though I did stumble across this old copy of The Divine Comedy, once. It was good for a laugh. If we could meet in real life, where would you take me and what would you do? *Evil smile* Why don’t I show you, right now, bloodbag? Just step over here and close your eyes. Don’t worry, it’ll be over in a few seconds. Harlequin and Kismet Blog Tours are hosting a giveaway along with the tour! Each stop, including us, is giving away winners choice of Immortal Rules, Eternity Cure or The Forever Song. Two (2) grand prize winners will then be chosen from all the entries. This giveaway is open to US and Canada residents, use the Rafflecopter widget below to enter. This is not a PTB hosted giveaway, so please be sure to read all the rules on the widget before entering. I'm excited for the last book but a little scared about how it's going to end! I'm scared and excited for this book. I hate to see a series end, but I'm dying to know what is going to happen next. Loved this book and I can't wait to get a finished copy! I was worried about trilogies before I read Julie's ending and now she has renewed my faith in them! I'm so sad it's ending, but I'm so excited for the conclusion. Can't wait to read whats in store for Allie and co.
I´m happy and sad because this awesome trilogy comes to an end. And I LOVED Jackal´s interview! Definitely upset that its coming to an end, but I have hope that there will be a short or something!! Also, loved the interview! 🙂 Jackal is my favorite character. Also, I tried subscribing by email but when I click subscribe (feedburner), nothing happens!! I'm definitely on the sad side. I love the closure and feeling of accomplishment but I'm not a big rereader (not enough time) so it's like saying goodbye too. I would NOT want to interview Jackal! Can't wait to re-read the series with the finale! Please Please somewhat of a happy ending to the series. I am so sad it is ending 🙁 and I hope it wouldn't break my heart with a sad ending. Im excited for the ending! I can't wait to get my hands on it! I don't want it to end but I also really need to know what happens. Love the interview :). I'm SO SO nervous for the end!!! I'M SUPER EXCITED TO KNOW HOW THIS AWESOME SERIES ENDS! I'm totally sad that this amazing series is ending :/ I grew so attached to the characters, it's going to be really hard letting them go. Super stoked for the book! This series is coming to an end and it's just so heart wrenching to see it finally over. I'm excited and terrified for the Forever Song!!!! I'm just starting this series so I'm not as sad as everyone else that it's ending 🙂 Thanks for such a fun interview! I'm sad, but kind of happy. I get to read the continuation of Allison's story, but I don't want to leave the characters! I hate to see it end but look forward to new books by this amazing author. Mrs Kagawa could never disappoint me so I'm excited. I'm excited and yet sad that the same time that the series is ending. I want to know how the story is going to end more than not knowing the ending. I still meed to read The Eternity Cure which is sitting by my bed. Need this one now to finish the series. Im happy the final book is coming out but sad the seires is ending. I've read all of Julie's Fey series, but haven't started this one. I'm not scared, though… just excited! I cant wait for this novel to come out! I'm glad they're all out so I can read them all at once! I am just looking forward to starting this series in general! I can't wait to read the rest of her books. 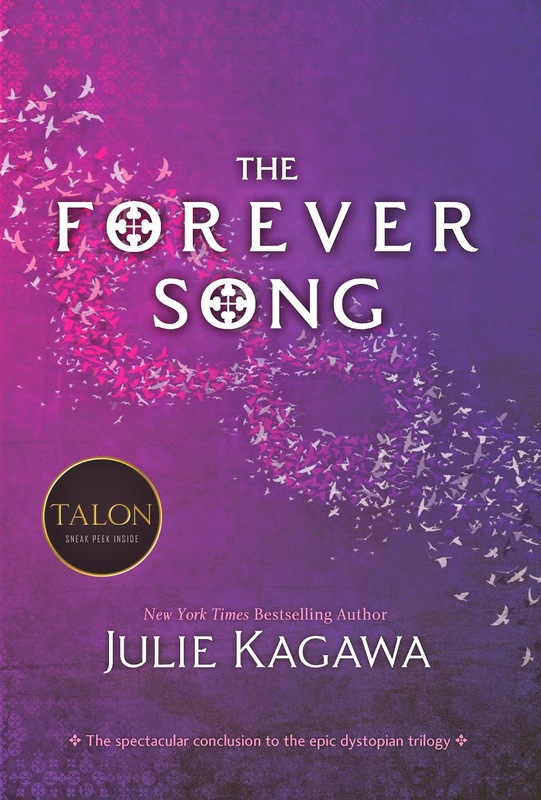 Can't wait to get my hands on The Forever Song. I love Julie Kagawa! I haven't read this series yet. But I've heard great things about! 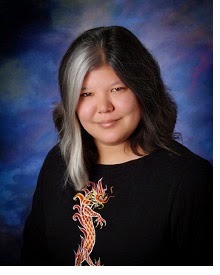 Plus Julie Kagawa is one of my favourite authors!! Thanks for the chance! 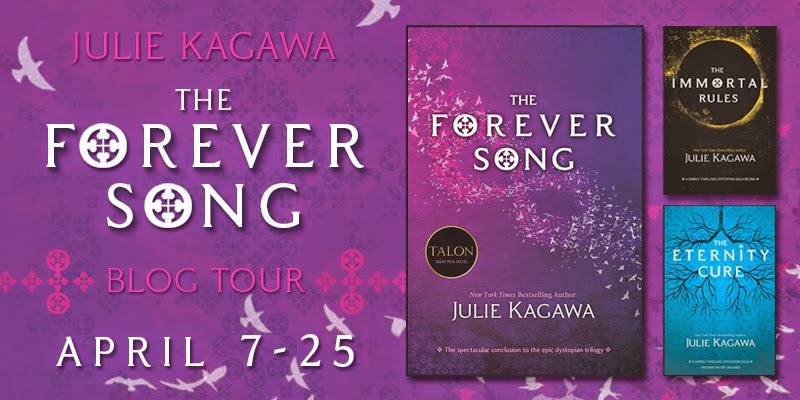 I am super excited about reading The Forever Song! Book 1 and 2 were AMAZING! I hope the ending is a happy one. I SO need to know how this ends! OMGOSH! I am excited for the ending. I'm so sad it's over but I loved every minute of this journey…even when things didn't look so great for Allie and company. So excited, I can't wait to get my hands on it! Thanks for the giveaway! I haven't read them, but I am looking forward to reading them!